We were the ultimate choice Commercial Lawyers Melbourne can be your business lawyers on all of your legal matters whether it’s shareholder and unit holder agreements, partnership agreements and joint ventures. We were the ultimate choice Commercial Lawyers Melbourne can be your business lawyers on all of your legal matters whether it’s shareholder and unit holder agreements, partnership agreements and joint ventures. We handle at ease. We have dealt with all the complex cases and have resulted in a win for most of our cases. Instead for delegating your work to inexperienced lawyers, we are the best option for you. Our small business lawyers in Melbourne have a special affinity for helping creative small businesses get up and going! 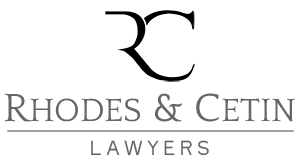 We advise and assist clients in all matters concerning their business, including: sales and acquisitions, partnership agreements, investment and share option agreements, commercial leasing, branding and trademarks, employment law, liquor licensing, and dispute resolution. We understand that each business is unique, and accordingly, should be treated as such. Whether you are seeking advice on a commercial lease or have questions regarding intellectual property, we are committed to finding cost-effective solutions to issues faced by our clients. Dispute resolution including: mediation, VCAT, Magistrates’ Court, County Court, and Supreme Court proceedings. At Sanicki Lawyers, we’re proud to set ourselves apart from other commercial law firms Melbourne has on offer. Comprised of a passionate, creative team with an impressive professional background, our wide scope of practice areas ensures that we can provide legal solutions for all types of clients. 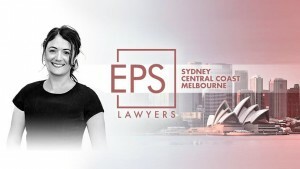 Whether you’re looking for commercial litigation lawyers in Melbourne to resolve a dispute or need advice on starting up your small business, we’re certain we can exceed your expectations. If you would like to learn more about how our services can help you with any legal concerns, don’t hesitate to get in touch with us. We would be more than happy to discuss your concerns in a free consultation so that you can get back to doing what you love sooner.